Whenever his in-laws stepped on to the highway, Manshuk Lal Prajapati would crouch behind his tea- stall to hide. Prajapati, 48, was a defeated man. He had failed in his tenth boards, worked as a laborer and was now trying to eek out a living as a tea vendor in Wankaner, a small dusty town in Gujarat. But a wave of humiliation swept over him whenever his in-laws saw him peddling tea on the roadside. “My in-laws were much better off. They were in the toy making business and here I was selling tea. I felt very ashamed,” he says. It was this feeling of shame that drove him to become an extraordinary entrepreneur he is today. 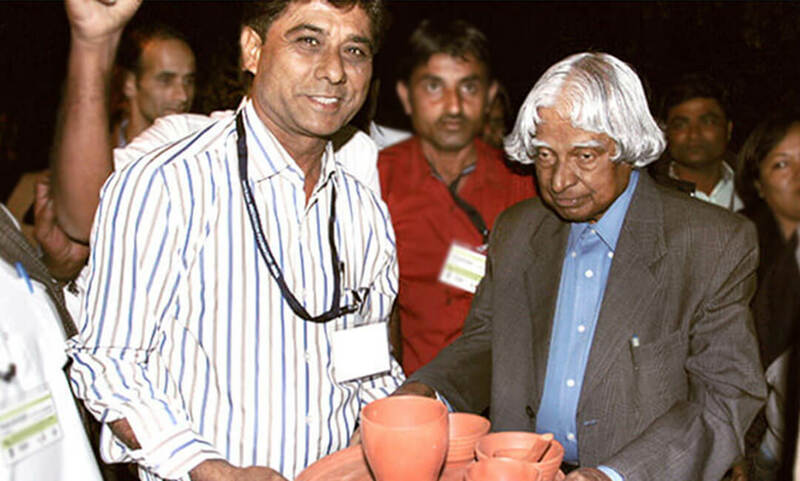 Prajapati is an innovator who is in the business of making everyday household appliances, including refrigerators, pressure cookers, non-stick pans, and water dispensers — all out of clay. 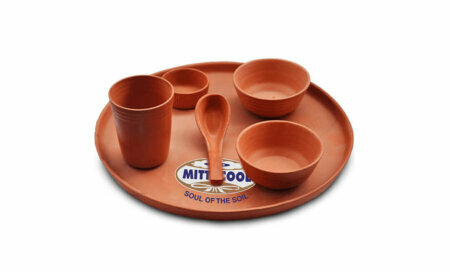 These products marketed under the MittiCool banner are not only eco-friendly, sustainable and effective but also very cheap. Take his centerpiece product — the clay refrigerator for example. It has sold more than 9000 units all across India. Priced a little over Rs 3000 it is a veritable poor man’s fridge. “The rich can buy anything but the poor cannot afford products like the refrigerator. So I thought why not make something the poor can afford and use,’’ says Prajapati. The temperature inside this clay fridge is almost eight degrees cooler than the room temperature. Vegetables remain fresh for over four days and milk for two. It is 26 inches long, 15 inches wide and 12 inches deep, and does not hog any space in the kitchen either. Those who have it, usually prop it up on their kitchen slabs. In 1989, aged 24, he began his experiments with clay. Starting out with a non-stick pan he gradually went from one clay alternative to another. Today, his products are so successful that he now has a row of factories with an assembly line production of myriad clay products. 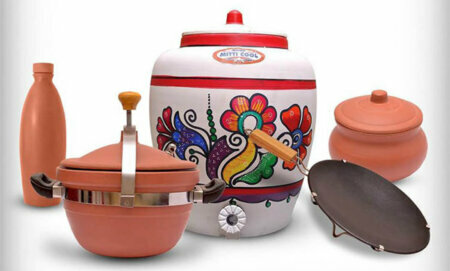 Big machines designed by Prajapati himself, mold the clay in seconds into pots and pans each of them produced in their hundreds to keep up with the rising demand. He has a turnover of Rs 45 lakhs and a running staff of over 35 people. But it was not a smooth ride to the top. 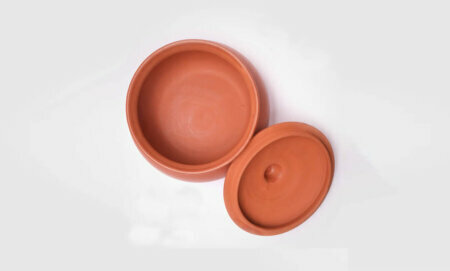 He had run into a debt of over Rs 19 lakhs setting up the clay product factories. “It was hit and trial and my pans broke easily throwing me in a huge debt,” he says. But he preserved and with encouragement from those who saw potential in him he made one product after another. 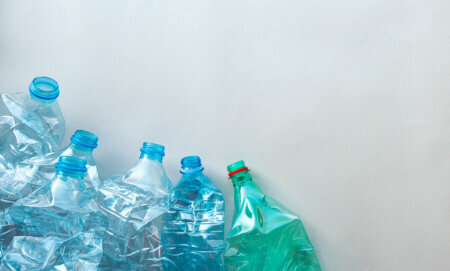 The products go all over India and sell especially well in Chennai. His products have also gone to Africa and this year, Prajapati has dispatched his first consignment of 100 clay fridges to Dubai. Prajapati’s next innovation is a clay house or MittiCool house as he calls it. It is a house made of clay to keep it cool in summers and warm in winters. With India reeling under sweltering heat, it’s a welcome house to breathe under. As for his in-laws, today they cannot stop boasting about their son-in-law. Great, let’s engineer this idea,. He need to take the patent of his products. Really, he is our Foonsukh Wangdoo.